This week, my finished scrap project is this wall hanging called My Funny Valentine. It is a pattern by Sarah Fielke and available in her Craftsy Online Quilting Class called Make Quilts from Small Scraps. 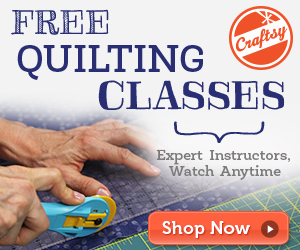 As a person who loves working with scraps and is compelled to keep everything, this is just the perfect class for me and I find that I go back and watch the videos regularly on my iPad, when I’m playing around in my sewing room. This project took about 2 weeks to finish and I just worked on it for a little while in the evenings (in front of the television). I hand quilted it in coordinating cotton too. I have such a large collection of Perle 8 cottons in a rainbow of colour and there’s no point in holding onto them, just for their prettiness factor, right? I also have this class but haven't made anything as yet, this is a great mini wallhanging...have to get my scraps out!